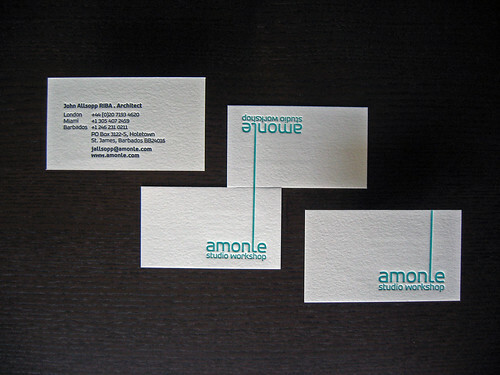 Check out these letterpress business cards we printed for a Barbados based company. Yes, we work with people from Europe, designers in Australia, and corporations in Asia. Since we’re both a print shop and design studio we accept files straight from designers and also work with clients to create custom stationery suites, wedding invites, and more. More information about how to place international orders after the break. So how do I get started? The easiest way to get started is to contact us by email (contact@dolcepress.com). For those that would rather call, you can reach us in the studio at (631) 319-6639. All of our quotes are sent by email because of the breakdown in pricing. We also have Skype services available for clients that want to talk or video chat about their project. What information do you need? Try to be as specific as possible. For those clients interested in design services, let us know and we’ll help you get started. For people submitting their own files, please attach a JPEG or PDF of the design in its current state (even if its only a draft). Also include the quantity of each piece, especially if you’re ordering business cards for more than one person. If you’ve got a deadline, make sure to be specific when you need the completed project in hand by. How does the process work? Once you’ve decided on a format and the specs, we’ll give you a revised quote and get started on your project. The turnaround time varies from day-to-day. As custom projects come in they are added to the print queue and are completed in that order. We also offer, on a limited basis, an optional rush for quick turnarounds (call for availability). We’ll give you an estimated turnaround time when you place your order. Shipping, do you send our card via carrier pigeon? No, we may do old school printing but we ship using modern methods! Once you’re job is finished we’ll email you shipping options for regular and expedited delivery. 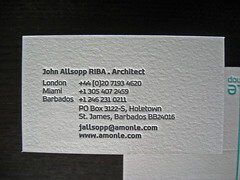 Talking about international clients, we printed these business cards for John Allsopp of Amonle Studio Workshop based in St. James, Barbados. 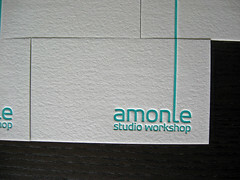 The cards were letterpress printed on 220lb Lettra Pearl White. 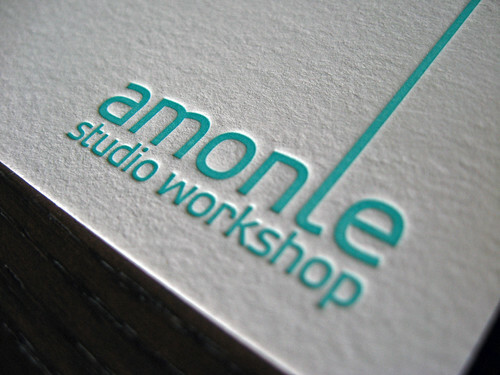 We mixed a custom blue-green ink for the front logo and a dark gray ink of the text on the back. Because these cards were printed on pre-duplexed stock (from the mill), we printed the text on the back first with a lighter impression. The logo on the front was printed second with a slightly heavier impression. This method minimizes the bruising and leaves both side with a moderate impression. Working on a re-branding for your business or a client?